We need to fellowship with God on a daily basis. God desires our fellowship. “The father seeketh such to worship him” John 4:23. Whether we perceive that we get anything out of it or not have a daily quiet time with the Lord. Have it simply because God desires it of us, He desires our worship. In your quiet time praise and worship Him. Seeking to give to Him, instead of just getting something from Him. Keep your eyes on God and off yourselves, “for them that honour me I will honour” I Samuel 2:30. Use your Bible in your quiet time. Set a specific time each day, preferably morning, organize your life around it and stick to it! Your soul is your greatest need! We make sure to feed our physical man everyday so make sure to feed your spiritual man everyday! The Bible says in Psalm 55:16 – 17 – “As for me, I will call upon God; and the LORD shall save me. Evening, and morning, and at noon, will I pray, and cry aloud: and he shall hear my voice.” We should be seeking to fellowship with the Lord throughout our day. It is a good idea to not just read your Bible and pray just once a day but at least twice a day or more is preferable. Morning to start your day off right and the evening to end your day fellowshiping with the God. We need to create the good habit of daily Bible reading. We either have good habits or bad habits. If we have not developed the good habit of daily Bible reading then we have developed the bad habit of NOT reading the Bible daily! Time is a factor in daily Bible reading. Lots of people say they do not have the time. Let’s look at the reality of time. James 4:14 says “Whereas ye know not what shall be on the morrow. For what is your life? It is even a vapour, that appeareth for a little time, and then vanisheth away.” As you see James teaches us that our time on earth is brief, but a vapor in comparison to eternity. If we do not develop the good habit of daily Bible study our time on this earth will catch up with us. We will have spent our life on earth not utilizing the time we had for Christ. Many Christians will meet God never having read His Word through once. Wouldn’t that be a shame? To meet God, to meet Christ, knowing everything that was done for you, because He loved you, and you never having bothered to completely read His love letter to you. For the person willing to study the Bible carefully, there is great reward. (Psalm 1:1-3 – Blessed is the man that walketh not in the counsel of the ungodly, nor standeth in the way of sinners, nor sitteth in the seat of the scornful.But his delight is in the law of the LORD; and in his law doth he meditate day and night.And he shall be like a tree planted by the rivers of water, that bringeth forth his fruit in his season; his leaf also shall not wither; and whatsoever he doeth shall prosper.) 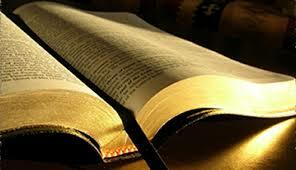 You need to make reading the Bible a pleasurable experience in order to make it a habit and keep it up. Don’t make it like work, if you are not use to reading and studying the Bible start out small and with the New Testament, Genesis, Psalms and Proverbs then progress to the rest of the Bible. Make use of Bible study aides, make sure you study in context, and make sure you study in church and at home. Most importantly make sure you are studying out of the correct Bible so you can trust you are learning correct doctrine and teaching and not missing others that are left out of the wrong versions of the Bible.